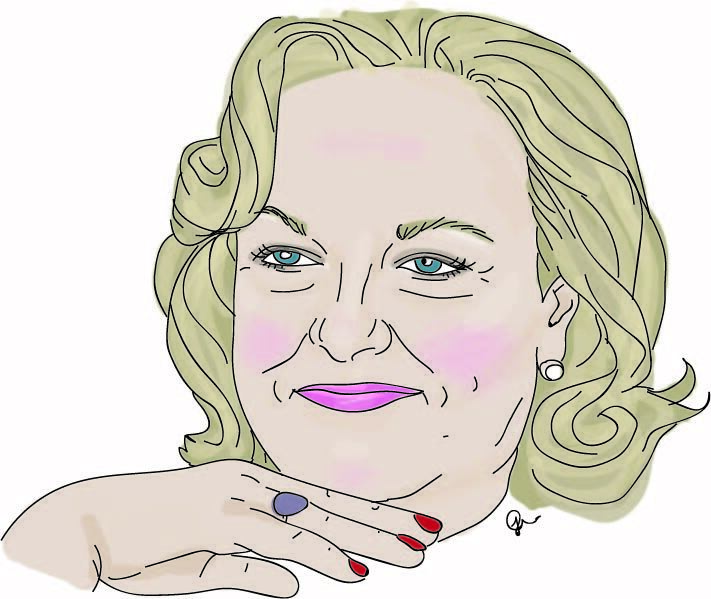 Reserve Bank Governor Graeme Wheeler will be adding Judith Collins to his Christmas card list after falling petrol prices during the June quarter helped push CPI inflation to near zero during those three months. Lower domestic airfares and cheaper rental car, computer and telecoms prices also contributed to a quarterly seasonally adjusted CPI reading of negative 0.1% during the three months and an unadjusted reading of 0.0%. This brought annual inflation in the year to June to 1.7%, down from 2.2% in the year to March. A Bloomberg survey of economists had picked 0.2% quarterly and 1.9% annual readings. Read their reactions below. The New Zealand dollar fell more than half a US cent on the news. The Reserve Bank is mandated to target annual CPI inflation of 1% to 3% with a focus on the 2% midpoint on average over the medium term. Worries that inflation looked set to take off towards the top end of the band surfaced during the March quarter. The reading will help the Reserve Bank’s plans to keep the Official Cash Rate (OCR) on hold at 1.75% until late-2019, versus market expectations for a mid-2018 hike. The Bank’s own forecast of 0.3% CPI inflation during the quarter was made back in its May Monetary Policy Statement, before weakness in petrol prices had reached full tilt. While the underlying oil price has softened through the year, petrol companies cut prices towards the end of the June quarter as Energy Minister Collins readied the publication of a report into domestic petrol margins. While possibly a coincidence, the timing did raise eyebrows. While Kiwis driving cars or going on domestic holidays during April, May and June may have benefited from lighter prices for those items, there was still a bit of a kick in the pants during the quarter from rising prices related to housing. Housing-related prices, including rent, food and electricity, rose during the quarter by 0.8%, contributing to a 3.1% annual rise. Prices for newly built houses excluding land (existing housing is not included in the CPI) rose 0.8% during the quarter, with Auckland contributing the largest increase of 3%. Trimmed mean measures – excluding extreme price rises and falls – indicated a slightly higher underlying price change than the headline quarterly measure, Stats NZ said. However, these still ranged from negative 0.1% to positive 0.1% during the quarter. Annually, trimmed mean measures ranged from 1.8% to 1.9% in the year to June. Tradables inflation at 0.9% during the year, continued to be outstripped by non-tradables at 2.4% during the year. The Consumer Price Index was flat in the June quarter, against market expectations of a small rise. The annual inflation rate slowed to 1.7%, after having reached a six-year high of 2.2% in the previous quarter. Prices were subdued across a broad range of categories. As we highlighted in our preview, the spike in vegetable prices was offset by lower grocery prices and a fall in fuel prices. Prices were generally softer in the import-heavy categories such as household goods and electronics, reflecting the strengthening of the New Zealand dollar over the last year or so. The one area where price pressures remain rampant is in the construction of new homes: up 1.8% for the quarter, and 6.4% over the last year. New home prices were up 3% in just one quarter in Auckland. However, there is still little sign of these price pressures spilling over into other areas, and we question how long they can be sustained in the face of a cooling in existing home prices. The result was substantially below the Reserve Bank’s forecast, with surprises in both the volatile tradables and the stickier non-tradables categories. While the RBNZ has already been on the side of arguing that OCR hikes are a long way off, today’s result should put a severe dent in market expectations that the RBNZ will be hiking rates by mid-2018. After the result, we saw the NZD/USD fall 2/3 of a cent and 2yr swap rates fell 3bps. The CPI was flat over Q2, after rising 1.0% in Q1. On an annual basis, inflation pulled back to 1.7% yoy after reaching a high of 2.2% in Q1. As expected, much of the weakness stemmed from falls in fuel prices, which have heightened the volatility in headline CPI recently. However, non-tradable inflation was also weaker than expected, weighing on inflation over the quarter. This softness was also reflected in the trimmed mean and weighted median measures of core inflation. These measures dipped back from 2.2% in Q1 to 1.8% and 2.0%, respectively. Q2 tends to be a seasonally weak quarter. However, even when seasonally-adjusted, the CPI fell 0.1% qoq. Although the RBNZ is expecting inflation to be volatile over the coming quarters, the softness in non-tradable inflation may be a slight cause of concern. Both ourselves and the RBNZ view domestic capacity pressures as a key source of inflationary pressures over the coming years. If that view is correct, non-tradable inflation should soon start showing signs of broad-based price rises (outside of construction and rents). While we do not think today's release will change the RBNZ's inflation outlook just yet, we will be paying close attention to how domestic inflation pressures track over the coming quarters. We continue to expect the RBNZ will not lift the OCR until late 2018 – certainly there is no hurry for the RBNZ to act any earlier based off the Q2 CPI. Heading into the August Monetary Policy Statement, the RBNZ will remain very comfortable with its recent stance of holding the OCR down for a considerable period. The drop back in headline inflation from 2.2% to 1.7% in the second quarter won’t worry the RBNZ much, but the fall back in underlying inflation suggests that interest rates won’t rise in the middle of next year as the markets currently expect. 2019 looks more plausible to us. That suggests the NZ dollar could yet weaken back below US$0.70. The RBNZ always expected inflation to fall back below the midpoint of its 1-3% range, but the decline in the first quarter came earlier than it thought. Inflation was also weaker than the consensus forecast of 1.9% and our own forecast of 1.8%. Inflation will probably fall further in the third quarter too as the downward influence from petrol (-1.9% q/q) in the second quarter is repeated and the rise in food prices (+0.7% q/q) is reversed (due to the unwinding of the flood-induced 19% q/q spike in vegetable prices). More importantly, core inflation (exc. energy and food) fell back from 1.6% to 1.4% and the trimmed mean and weighted median measures also softened. Core inflation is still above the low point of 0.9% reached in 2015, but the drop highlights that even decent rates of economic growth aren’t enough to generate much inflation. Overall, these figures should prompt the markets to conclude that interest rates are unlikely to be raised next year. The RBNZ is unlikely to follow in the footsteps of the Fed and the Bank of Canada until it looks as though underlying inflation will be sustained above 2.0%. That probably won’t happen until 2019. Today's headline CPI data was weaker than the RBNZ's forecasts for the June quarter (0.3% qoq, 2.1% yoy), but the RBNZ has empathised that they expect headline inflation to be volatile over the year ahead. Tradables inflation has been buffeted about by volatility in oil prices, while domestic inflation pressure has been steady above 2% yoy. The Bank's focus in recent policy communications has shifted to looking at core measures of inflation such as the trimmed mean (see above) and the Bank's own sectoral factor model of inflation (released at 3pm). However looking at the trimmed mean measure, and CPI inflation less food and energy, these are reinforcing that inflation is perhaps not as widespread as previously thought. Inflation less housing dropped from 1.9% yoy to 1.5% yoy in the recent quarter. For the RBNZ, today's CPI data is unlikely to be as disturbing as the headline figure may suggest, given they already are forecasting that inflation will drop to 1.1% yoy in March 2018, but does emphasise that the Bank has plenty of time to assess developments in the economy over the year ahead. But while the RBNZ can look through some of this volatility, if these measures continue to trend down, particularly as housing market activity eases, then this could present a threat to our current view that the RBNZ will start lifting the OCR from late 2018. Headline inflation eased back to 1.7% y/y in Q2, and underlying details were soft. While the housing group continues to provide upward impetus, it remains a story of very limited price pressures elsewhere. Core and underlying measures actually eased a touch in the quarter. In many ways, there is a “necessities” vs “fun” dynamic, with the prices for the former items generally rising, but prices for more discretionary type spending falling. Together with the recent soft GDP figures, today’s data and the mixed forward-looking inflation signals will leave the RBNZ fully vindicated in its ultra-cautious stance and no doubt the market will shift more towards its view. While our own view is that domestic inflation pressures will eventually rise and broaden, that hinges heavily on the labour market (and wage growth specifically). The RBNZ is not going to react until it sees actual evidence of this and the risks are clearly building that this theme will not only be delayed, but will be surmounted by growing evidence of structural disinflationary forces. A soft CPI and a soft under-belly to the result suggest that the RBNZ won’t be in a hurry to join the ranks of other major central banks to remove policy accommodation. It anchors the short end of the rates curve around current levels and at least from a relative monetary policy perspective the Bank’s stance won’t be lending any support to the NZD. The 'CPI % year on year' chart will be drawn here. The 'Tradeables inflation % pa' chart will be drawn here. The 'NonTradeables inflation % pa' chart will be drawn here. The 'Food prices % pa' chart will be drawn here. Tradeables at 0.9% well at least its in positive and not negative territory. Not surprisingly NZD fell about 0.5 USD. For anyone trading currencies always read Roger and do the opposite. Interestingly Stats NZ included regional pricing for petrol prices in its main data release. If petrol prices at pump remain where they are , Q3 will see a larger fall in CPI, again the RBNZ forecasts appear little more than throw the dart and hope. Roger reminds me of a gambler at roulette who keeps putting chips on a single number. He keeps losing,but reasons that the more often he loses,the more likely it is that he will win next time.If he lives long enough,he might just get inflation right. a) "A yield curve is supposed to be upward sloping "
b) "but over the long run their persistence means something far different. " The q then is what is really different about today V the past that produces a world where some are not seeing what they expect and seem lost when their dogma cant give them an answer. PS Others go looking for a) an answer b) an outcome (or maybe its a view of our future. So the necessities become more expensive and the luxuries become cheaper, no wonder there is growing inequality and a lack of domestic saving. I agree, it makes no sense basing a RBNZ mandate on a list made up of predominantly luxury/one off items. They need to link it to core everyday spend on necessities. Well , thats exactly what happens , the demand for necessities is relatively inelastic , so its unlikely to be affected by price increases because its essential to survival like food, basic clothing and shelter . Manufacturers, food processors and retailers know this and they know how far they can push the price before consumers simply resist or resort to substitutes. There is way too much excess capacity worldwide in industry and manufacturing for things we dont have to have like TV Sets (you can really only watch one at a time ) or surround sound systems , and even cars. Frankly the domestic economic system is somewhat unbalanced from that perspective , and you are correct in that that when one is on a low wage one will not be able to save when 70% or more of ones take-home pay goes on rent . We don't really need Cartier watches or D&G accessories , its just our materialistic way of life that drives these sales. I could use someone else's boat , just like Warren Buffett , who has never had a boat because he says its a "total waste of money"..... and he is right . A good insight, the Q is are we yet prepared to do something about it or not? I think we'll find out the answer to that in September. For myself I expect National to get a 4th term propped by Winston. I also NZF might even become the 3rd biggest party as the Green's continue to stagnate. I think you are right, but I wonder what will become of the minor parties we currently have to put up with - UF, Maori, ACT. Will they survive? or will NZF gobble them up? Judith Collins could do the same for the building supply cartels, where price gouging is rampant , and maybe even the milk price . I expect the yoy 2.4% increase coming from non tradables will be the usual suspects. We ask for the safety, we ask for the quality, we ask for the performance. Mysteriously, our politicians have not broached looking at the duopoly's effect on building costs. Really Gummy? I am surprised you dont have her pic stapled to your bedroom ceiling wall aka Margret Thatcher style. For all her faults you just gotta admire Judith the crusher. She just gets on with stuff that has been crying out to do for years. Previous ministers and vast government departments have sat about doing nothing - until Judith showed up. But there is a big backlog. My suggestion to Judith - building materials - supermarket chains. You are taking the piss surely..? Even her nickname is a joke - seems like only 3 cars were ever crushed and the streets are still full of idiots racing around in the after hours. "...figures release from the the Ministry of Justice reveal just three vehicles have had a date with the crusher." I am 100% sure the petrol investigation will be just another example of a desperate National party trying to be seen to be doing something but "at the end of the day we won't be changing anything too soon...."
Ah well at least its better than what young Toddy is doing (or not doing) - wonder if the bright young Clutha wunderkind was able to pass a drugs test recently to show he was fit to be in the beehive or is that something that is only required of fruit pickers in NZ according to the billshitter and MPs can be as stoned as they want to be? Bang on the money. Collins is all talk. I would love to see her released for useful work in industry-perhaps as a scrap metal merchant. I think it may have something to do with the fact the price of oil dropped ??? Yes but the problem is the OCR is no longer connected to our interest rates, its all about whats happening offshore that has the biggest effect.